house-made cakes. We only use locally milled, organic flour in our baked goods and NO artificial ingredients. 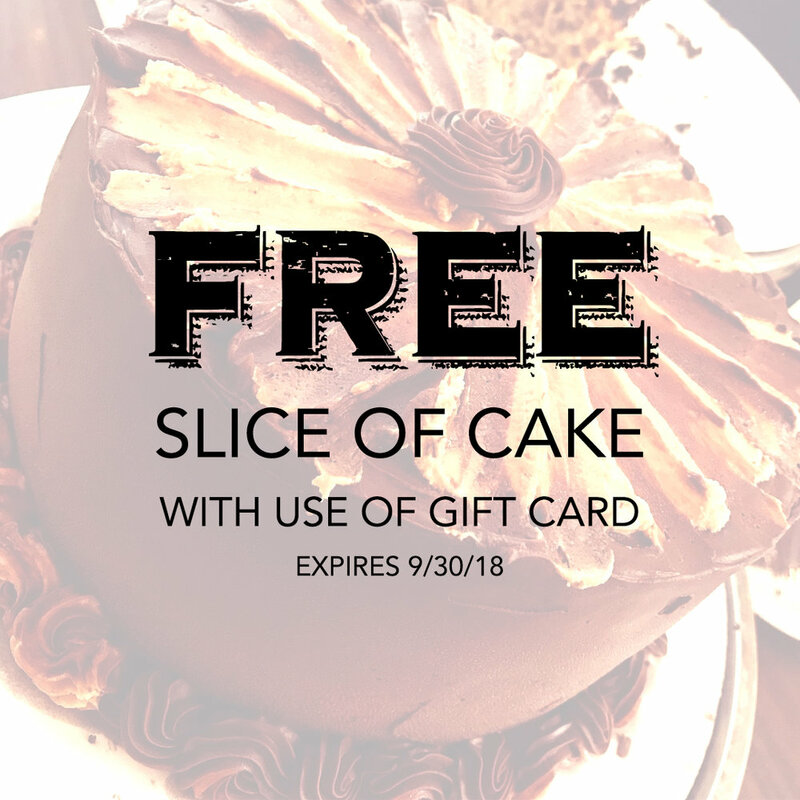 This coupon will expire 9/30/18 so be sure to join us before then! One time use for one slice of cake.